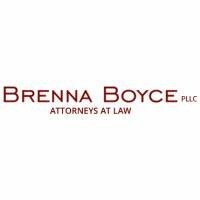 Brenna Boyce PLLC has been representing individuals, families and businesses in Rochester and across New York since 1953. Our six-decade legacy is founded upon a passion for justice and a commitment to providing stellar legal advocacy to each and every client. All of our lawyers have many years of trial experience, making our firm a premier resource for those in need of seasoned litigation counsel and assistance. We believe that every client deserves to be treated like family. Because of this, we fight tirelessly to pursue our clients' goals and defend their interests. Our attorneys have obtained multimillion-dollar results in personal injury cases, allowing injury victims and their families to regain a solid financial footing. Contact Brenna Boyce in Rochester to arrange a consultation. We also invite you to listen to our weekly Brenna Boyce Law Forum Radio Show on WHAM 1180.